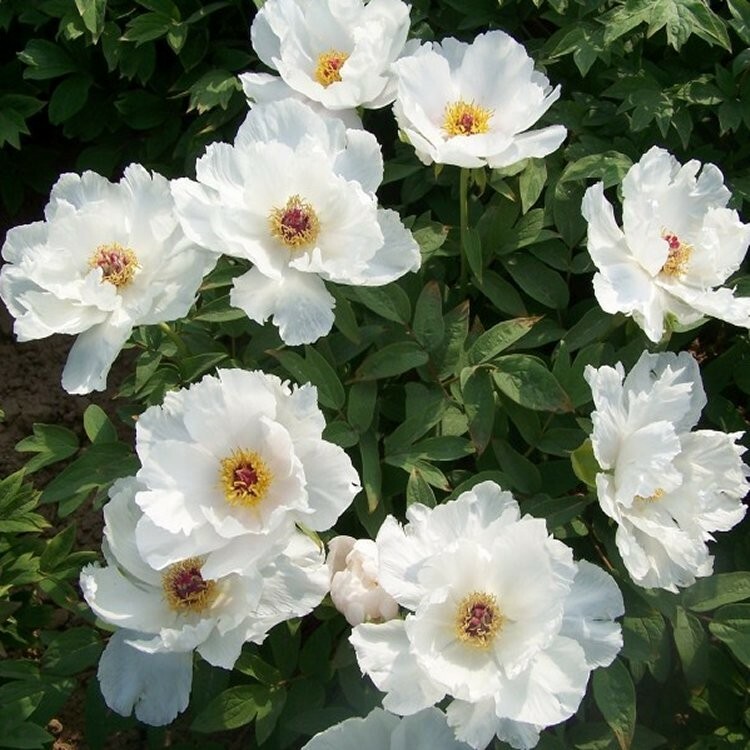 White Phoenix Tree Peony 'Feng Dan Bai' is a single white flowered variety with open, cup shaped blooms on upright stems. There are few plants that can compete with the beauty of a tree peony in full bloom. 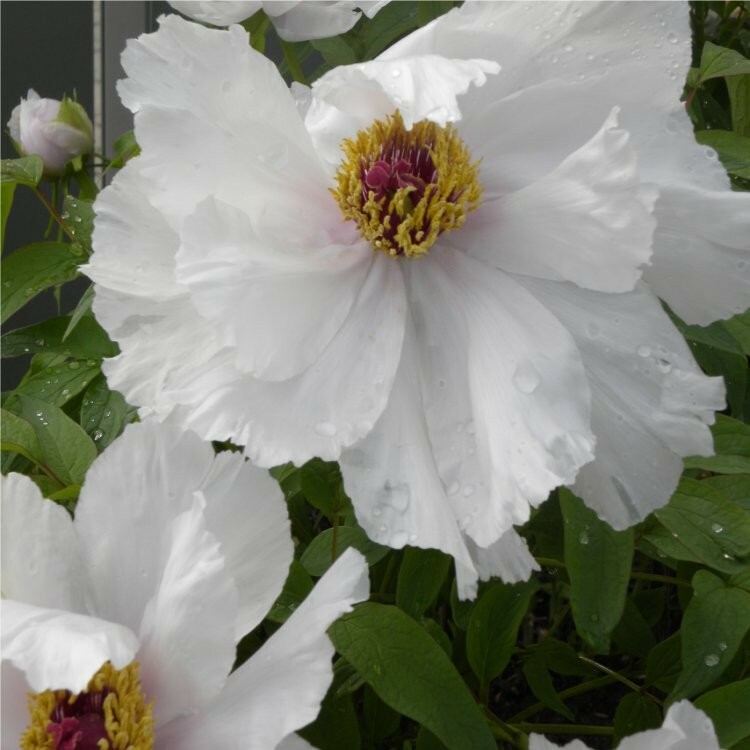 A mature plant can boast in excess of a hundred exotic blooms, each measuring up to 25cm (10") or more in diameter! These exceptional shrubs are hardy and disease resistant, and will continue to bloom for a lifetime. The exotic flowers of the tree peony are simply breathtaking in borders and make exquisite cut flowers for vases indoors.